HomeNews in PerspectiveWe are doing our best – says WHO Director-General, but is it enough? After several months of intense criticism of their slowness and confused approach in responding to the Ebola outbreak in West Africa, WHO are on the offensive. The rapid replacement of the WHO country representatives in Sierra Leone for example, is a serious indictment of the failing of the WHO, in providing strong and effective leadership in tackling the virus. But supporters of the WHO say that unlike agencies such as MSF and Save the Children Fund, the organisation is not a provider of direct local health care services, but specialist public health advisers. Yet this argument has not stopped the barrage of criticisms that WHO continues to face. 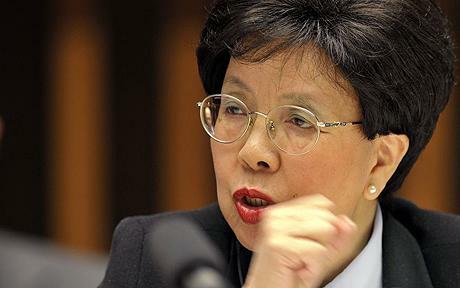 “Cases continue to increase in Sierra Leone, especially in Freetown,” says Dr. Chan. The Ebola epidemic ravaging parts of West Africa represents the case of an old disease in a new context that allowed it to spread undetected for three months and take off in unprecedented ways. What are the contextual factors fuelling the epidemic? This has been West Africa’s first encounter with Ebola virus disease. No clinician had ever managed a patient. No laboratory had ever handled a diagnostic specimen. No government had the experience to understand what a disease like Ebola could do to a country’s future. The three hardest hit countries, Guinea, Liberia, and Sierra Leone, are among the poorest in the world. Borders are porous and population mobility is high as people move around, looking for work. 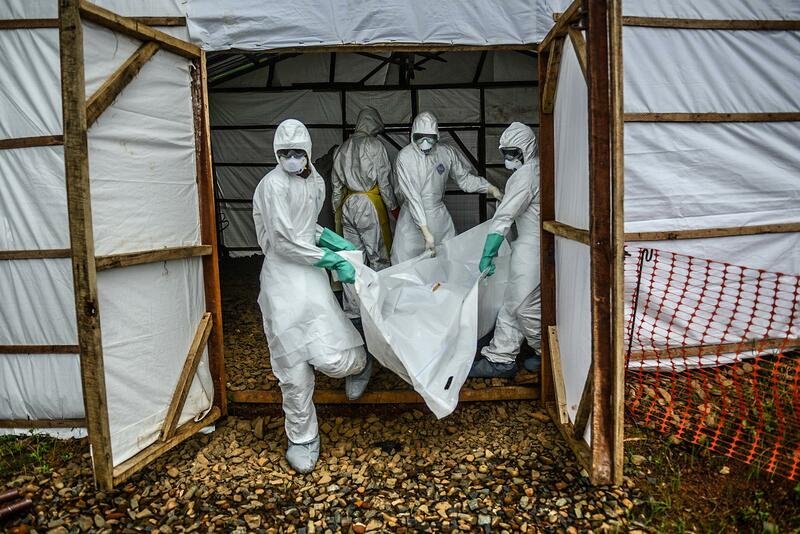 Movement of Ebola patients across borders in their quest to find treatment beds has ignited further chains of transmission and flare-ups in areas that were approaching control. Community resistance has been a problem, leading to hidden cases and secret burials. Riots by angry and frightened communities and strikes by health care workers and burial teams have further disrupted control efforts. Public health infrastructures in all three countries were damaged or destroyed during years of civil war and unrest. The three countries had only 1 to 2 doctors to serve a population of nearly 100,000. That number is now even smaller as nearly 600 doctors, nurses, and other health care workers have been infected and more than half of them have died. Prior to the epidemic, these countries were making very good progress in health and development. This is the largest, longest, most severe, and most complex Ebola epidemic in the nearly four-decade history of this disease. What began as a health crisis has become a crisis with humanitarian, social, economic, and security implications. Travel and trade bans have been imposed. Markets are not functioning. Fields are fallow. Fear of Ebola is moving faster than the virus. This is an unforgiving virus. 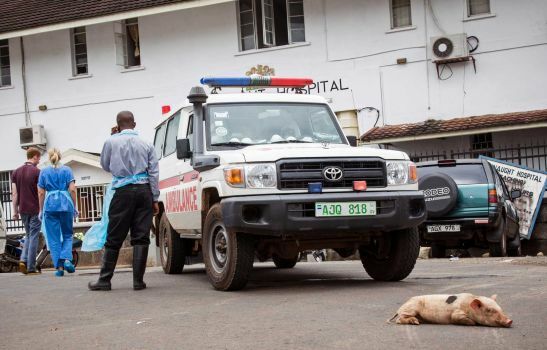 Guinea, which experienced the first outbreak, has had at least 3 cyclical waves of declining cases followed by flare-ups and hot spots in new places. Liberia, the most severely affected country, is making good progress but we cannot be complacent as the virus has moved from large cities into remote rural areas. 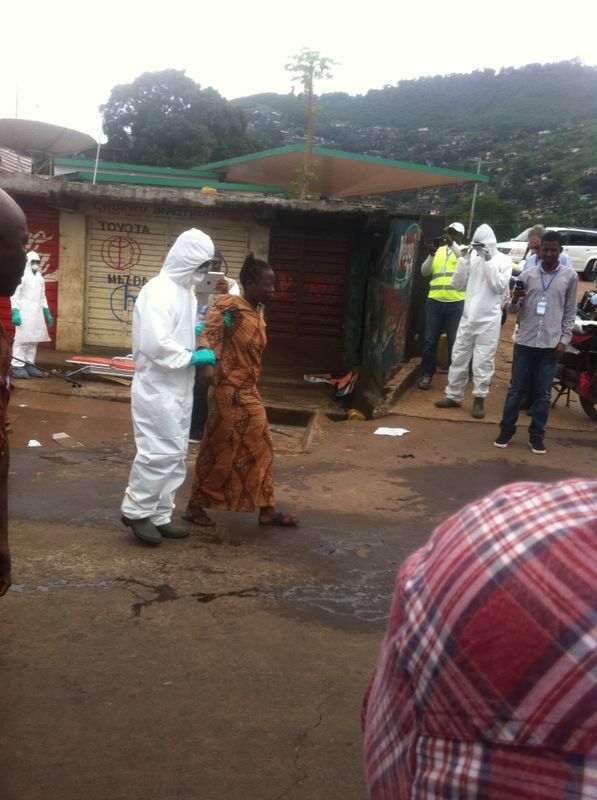 Cases continue to increase in Sierra Leone, especially in Freetown. Development partners and UN agencies are scaling up action to support the government. Cyclical patterns of apparent control followed by intense transmission will almost certainly continue as long as communities refuse to cooperate with response teams, families continue to hide cases and refuse safe burials, and the public continues to view treatment centres as places of contagion and almost certain death. But there are some bright points. Like the swift victories in Senegal and Nigeria and Mali’s determined efforts, after 2 imported cases from Guinea, to hold onward transmission to very small numbers. Another bright point is the unprecedented support from the international community, nongovernmental organizations, and the UN Mission for Ebola Emergency Response, or UNMEER. WHO is providing the technical know-how to stop transmission, adapting new strategies as the outbreaks evolve. The World Food Programme is not only delivering food and other supplies to meet daily needs but is sharing its logistical capacities with other agencies. The World Bank has contributed millions of dollars to support strategic operations. Among other activities, UNICEF has undertaken massive social mobilization campaigns aimed at changing traditional behaviours. The vast majority of safe burials are undertaken by Red Cross and Red Crescent volunteers. Finally, the Ebola epidemic has created opportunities for these countries to rebuild and strengthen basic public health infrastructures and systems, including human resources, to detect and respond to outbreaks and other health challenges. (Photo: Sierra Leone’s flagship – Connaught Hospital in the capital Freetown). Resilient health systems are important to withstand the shocks that our 21st century world is delivering with ever-greater frequency and force. These can be shocks from a killer virus or shocks from a changing climate. Let me end on a positive note. A year ago, the message about Ebola was grim. This is a deadly and dreaded disease with no vaccine, no treatment, and no cure. Thanks to the efforts of scientists and industry, this is no longer entirely true. Efforts to fast-track research and development of Ebola vaccines are racing ahead. Clinical trials are under way and the results look promising. WHO, working with experts and scientists from around the world, has prioritized a number of experimental therapies, including some potential cures, which are also undergoing clinical trials. Most experts are convinced that this will not be Africa’s last large Ebola outbreak. At least 22 African countries have the ecological conditions, the wildlife species, and the hunting practices that favour a return of Ebola at some time in the future. In my view, our collective experiences to date will leave the world much better prepared to respond to such an event. This is especially true if more resources are devoted to getting basic public health infrastructures and resilient health systems, especially strong community health services, based on primary health care, in place. Meanwhile, the carnage continues with no end in site or respite for the people of Sierra Leone, where the under reported death toll continues at a daily average of well over 500 across the country. In the capital Freetown alone, more than 100 bodies are collected for burial every day. The truth is that more than 10,000 people have contracted Ebola in Sierra Leone. But the government’s record is only accounting for about 6,000 since May 2014, whilst almost 1,000 new cases have been officially confirmed in the last fifteen days.